" Highly recommend for people who have a hard time getting a good seal with a larger mask. This is quiet, easy to use and very comfortable. " " This is my 4th mask and all previous masks leaked. This is the 1st mask that I don't have irritation of my eyes because of air leakage! " 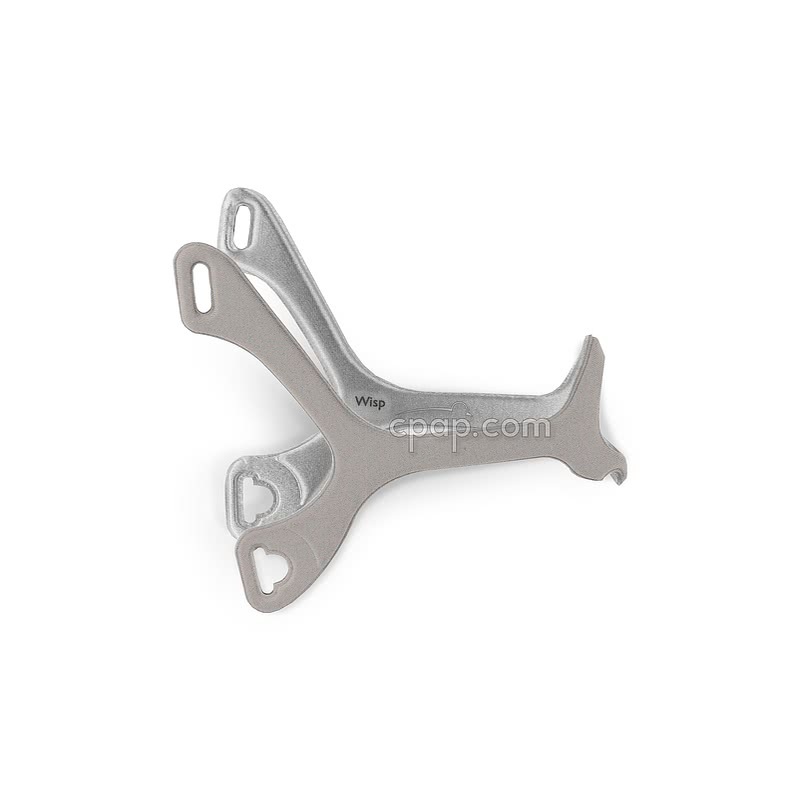 The Wisp Nasal Mask WITHOUT Headgear offers a choice of frame. When ordering select Clear Silicone Frame or Fabric Frame. This package includes three sizes of cushions: S / M, L, and XL. The innovative design means less facial contact and no need for a forehead support. 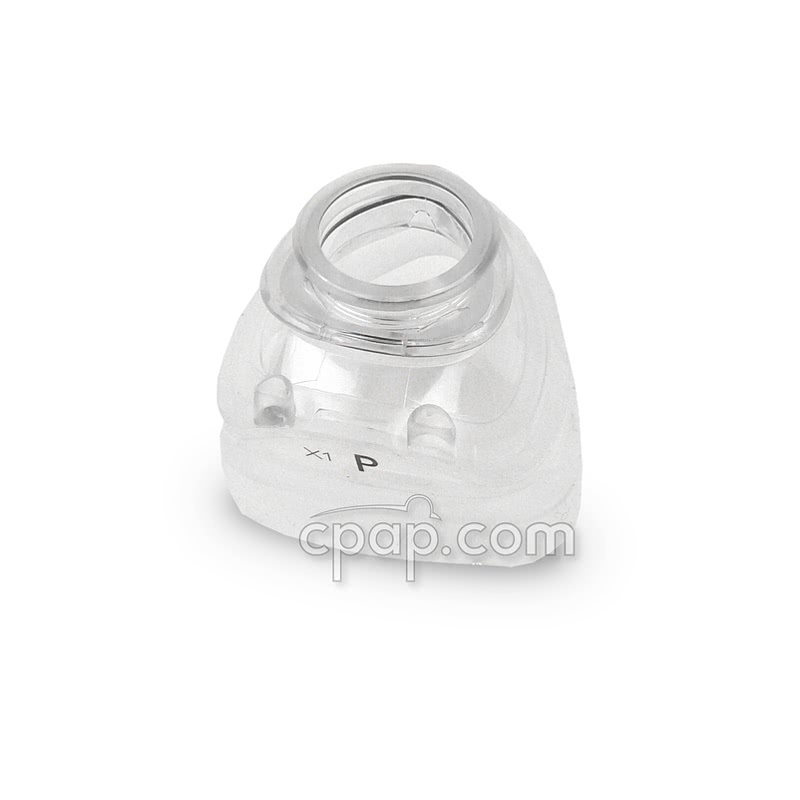 The Wisp Nasal CPAP Mask WITHOUT Headgear offers a choice in headgear materials. The design of the Wisp is lightweight with minimal facial contact helping to promote therapy comfort. 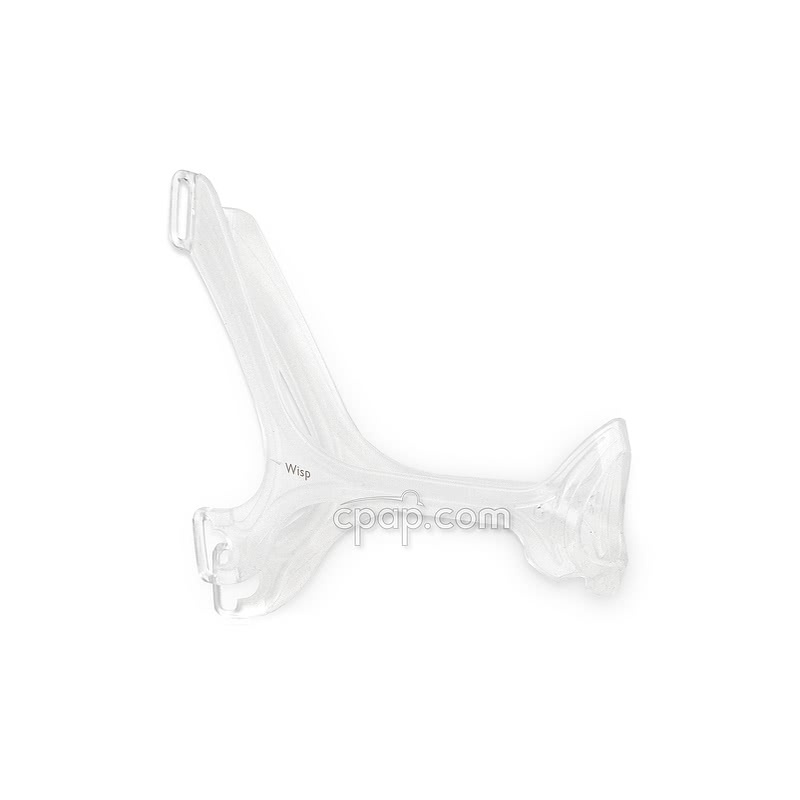 The frame for the Wisp is offered in Clear Silicone or Fabric. Select the frame type at the time of ordering. The silicone frame is flexible with smooth surfaces. The fabric covered frame has different material on each side offering a choice in feel. The Wisp frames are interchangeable. The Wisp cushions work with both the silicone and the fabric frames. 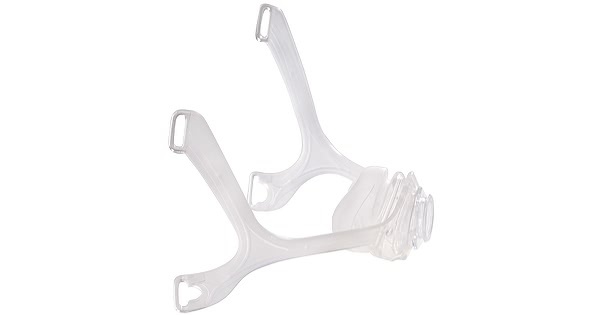 The Wisp Nasal Mask WITHOUT Headgear comes packaged with three sizes of cushion. The Small/Medium cushion is installed on the mask frame and can easily be changed to the Large or Extra Large cushion. Also available as a separate purchase is a Petite cushion. The Wisp omits the need for a forehead support offering a clear line of site and more comfortable therapy. It allows for watching TV or reading before falling off to sleep. The Wisp Nasal Mask WITHOUT Headgear includes the flexible short tube which is the connection between the long hose and the cushion. 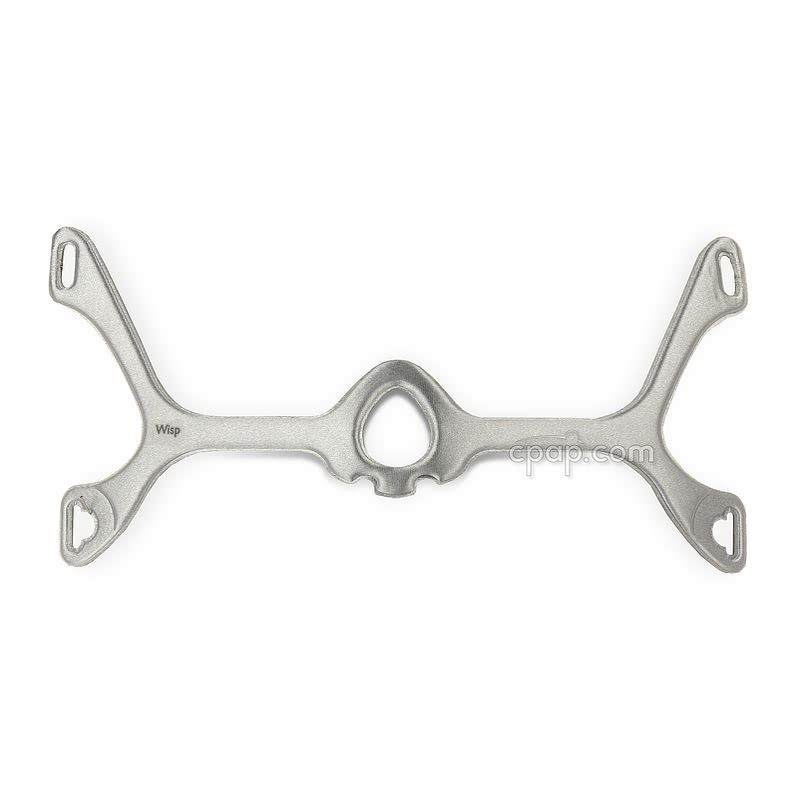 The swivel allows for movement while limiting seal disruption. The short tube can pass over the top of the head keeping the hose out of the way. NOTE: This product does not include the headgear. The size Original Headgear is packaged with the Wisp. It is part number 1094082. The headgear for the Wisp is also available size Large for separate purchase. Click this link: Headgear for Wisp Nasal Mask to view and purchase the headgear. If interested in the Wisp packaged with the size Original headgear - click this link: Wisp Nasal CPAP Mask with Headgear - Fit Pack. The headgear is NOT INCLUDED with this product. It can be purchased separately in the desired size. 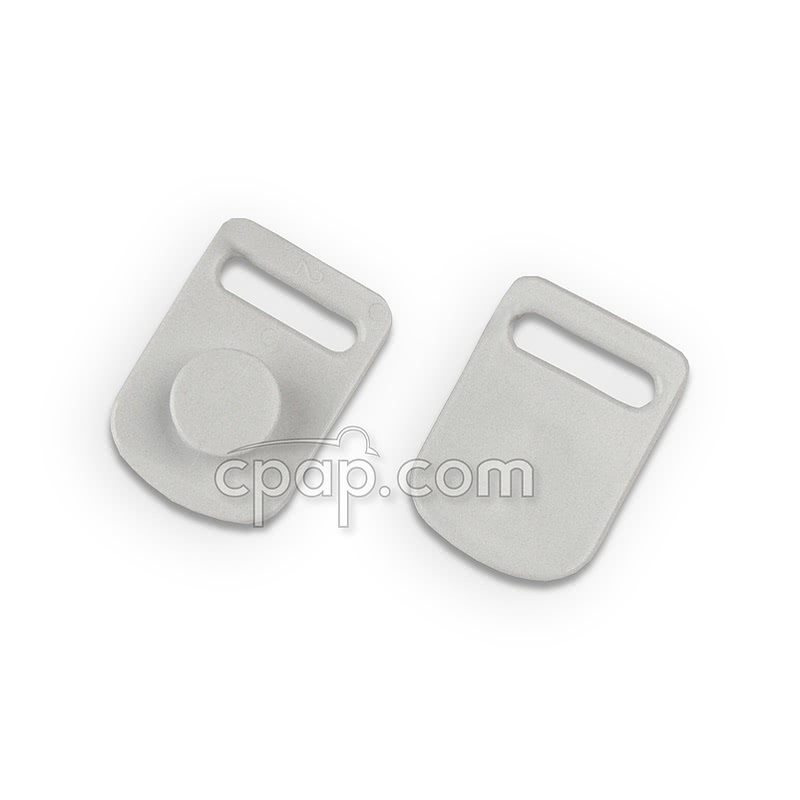 When the Wisp Nasal CPAP Mask with Headgear - Fit Pack is purchased it comes packaged with the size Original Headgear part number 1094082. 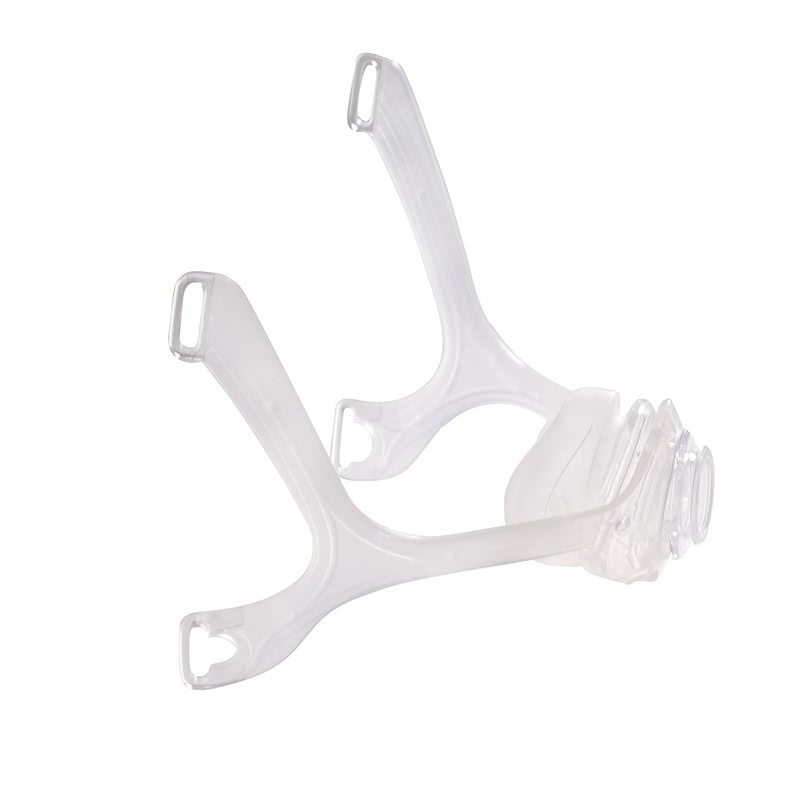 The Headgear for Wisp Nasal Mask is available in two sizes: Original and Large. 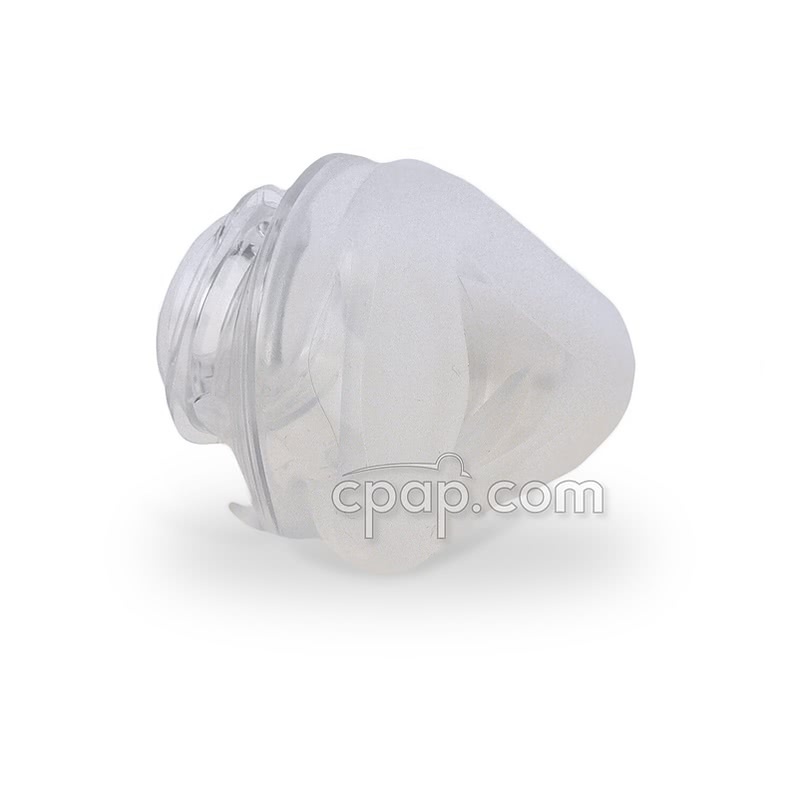 In December 2014, the manufacturer changed the cushions included with the Wisp Nasal CPAP Mask WITHOUT Headgear. Previously the three sizes included were P, S/M, and L. This changed to S/M, L, and XL. The hand wash the headgear weekly using warm water and a mild detergent. Allow the headgear to air dry. DO NOT clean the headgear in a washing machine. Both the Clear and Fabric Frames are the same size. The material is the only difference between the two options. The Clear Frame can soaked for cleaning making it easier to clean and maintain. Additionally, the silicone frame may have a longer life. The Fabric Frame is lighter weight and more comfortable but may not be as durable. The Fabric Frame should be wiped clean, not soaked. An Oxygen Enrichment Adapter can be added to the therapy circuit in order to use the Wisp with oxygen. The Wisp mask does not have an oxygen port. To use an Oxygen Enrichment Adapter, fit it between the machine and the long tube or the mask and the long tube. 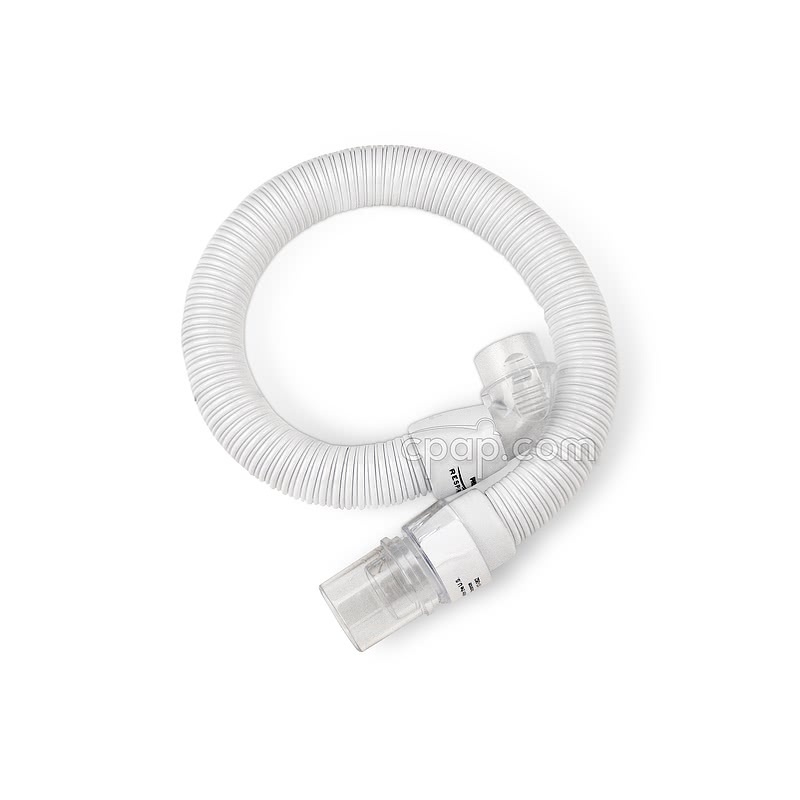 It will work with any standard, non-heated CPAP Tube.